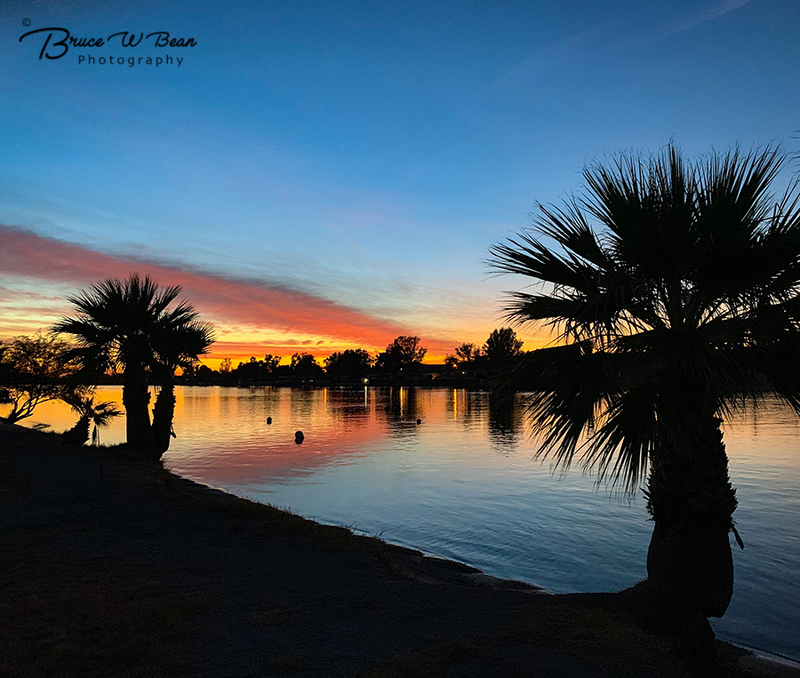 If you are a camper and ever find yourself near Parker, Arizona – well, you really should swing by La Paz County Park. It bills itself as “The Jewel In The Desert,” and after spending some time there I’m inclined to say that their billing is accurate. La Paz County Park is located approximately 8 miles north of Parker, Arizona. 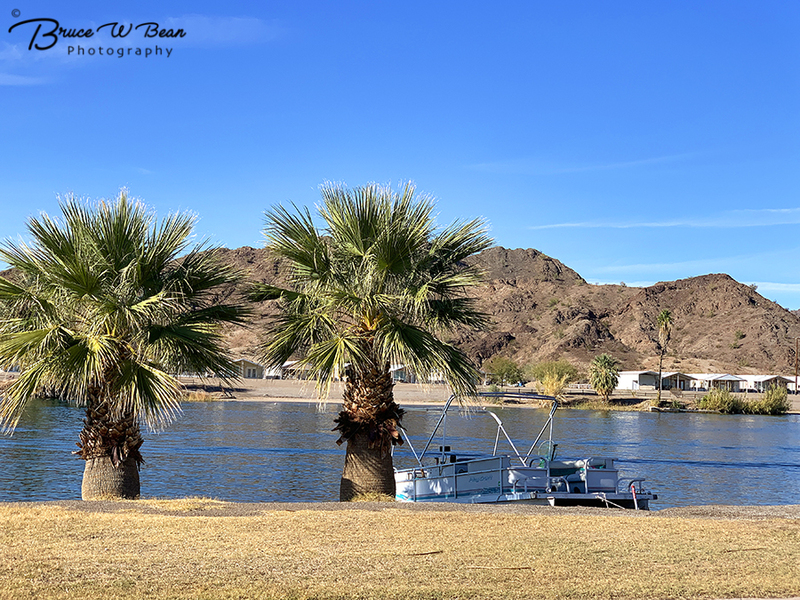 It sits directly on the banks of the Colorado River, which at this point serves as the dividing line between Arizona and California. 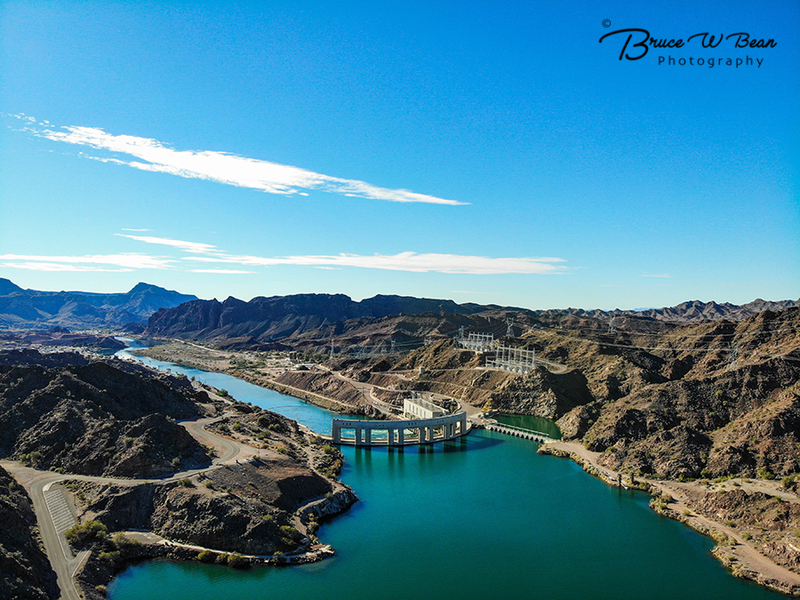 Parker Dam is approximately 9 miles upriver to the north – that’s the dam which creates Lake Havasu. Water released from the dam runs south, right past La Paz County Park. The release is well controlled creating a very peaceful and slow flowing river which moves peacefully and beautifully in front of the campsites at La Paz. La Paz County Park offers a broad range of “camping” experiences. 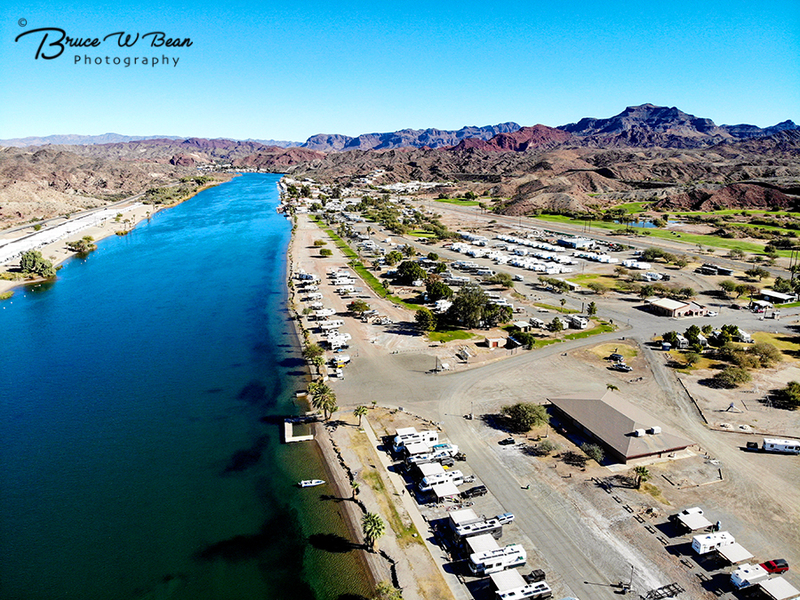 There are approximately 220 RV sites of different types offering various combinations of power, water, cable TV, etc. Some also include a covered cabana adjacent to the site with picnic table. There is also an area with power and water for tent camping. In addition to the sites with utilities, there is also a large area which is available for “dry camping.” Daily, weekly, and monthly rates are available and I must say, they are very reasonable. The county park campground is a great place to kick back, relax and watch the river flow past. Sunsets are beautiful by the way. The camp is well managed with very friendly, helpful and competent staff. And all the campers I met were friendly, outgoing and welcoming as well. Campers come from all over – California, Nevada, Montana, Washington, Tennessee, Kansas, Wisconsin, etc. as well as numerous Canadian Provinces. If sitting by the river contemplating nature sounds a little too sedate for you then you can always pick up the pace a bit. This stretch of river is full of opportunities for action. Rent a boat or jet ski and zoom the river. 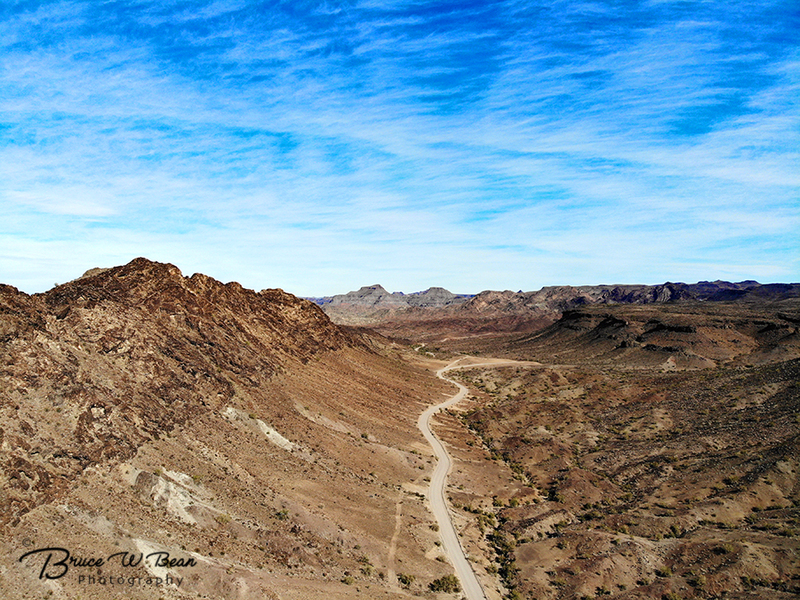 Take an off road vehicle ride – your own or you can rent – along the numerous back roads leading into the desert. If you are looking for a very unique desert dining experience you might consider the “ Nellie E Saloon – The Desert Bar.” It is truly a very “off the beaten track” bar and grill located about 8 miles east of Highway 95 on Cienega Springs Road in an area which was once a small mining operation. But be aware. The road is unpaved, dusty and can get rather rough in spots with areas of that “washboard” quality we all know and love. A journey best for 4 wheel drive vehicles, OK for standard vehicles if you don’t mind taking it very slow and easy, and not really recommended for larger vehicles such as vans or RVs. Also be aware. The Desert Bar is only open on Saturdays and Sundays from noon until 6:00 PM. It’s great fun and tends to be a very active place to go. It can get a wee bit crowded. It’s clearly not a secret. For those with a bit more civilized idea of a good time, the Emerald Canyon Golf Course is directly across the road from La Paz Park. It’s a highly rated and beautiful course. Tee it up and have a great time!